Three decades on, Jane, 60, and Tim, 58, have spent half their lives renovating wrecks, including a former schoolhouse and barn at Barkisland, West Yorkshire, where they lived with their daughter, Lottie, now aged 24. When Tim, a chartered surveyor, got a new job in Surrey in 2011, the family needed to move on. They sold the barn, moved to a rented house in Ifold, West Sussex, and began hunting for another ruin to rescue. But they quickly found that vendors down south are a far more ambitious bunch than those they had encountered in the northeast. “People wanted almost the same money for something that needed renovation as for something that had been done up,” Tim says. On top of that, there was the VAT issue: there is no tax relief on a renovation, but it is possible to claim back the levy on a new-build. So Tim and Jane changed tack and decided to build a house from scratch. From purchasing a site to completion, the project took more than two years, and costs spiralled. But the couple are now the proud, if slightly exhausted, owners of a fabulous contemporary house that costs almost nothing to run. This is what the experience taught them. The first step was finding a building plot. Tim and Jane scoured estate agents’ windows until they found a site occupied by an ancient, asbestos-riddled bungalow in Rowhook, near Horsham, Surrey. “It had been on the market for a couple of years, it was a complete mess, full of weeds, and there was a right-of-way issue,” Tim says. Despite its shortcomings, they had a look and were enchanted by the gently sloping 10 acres of bluebell-studded woodland and paddocks. The owners of the adjoining land had a right of way across the plot, so the couple went to meet them. “I don’t think anyone had gone to see them before,” Jane says. The meeting went well and they agreed to waive their right of way in return for shifting the boundary between the properties about 10ft in their favour. The land had initially been listed for £900,000. As time passed, this dropped to £850,000, £750,000, then £725,000. The couple felt this was still too much, so they offered £600,000. “We told them to take it or leave it,” Tim says. They reasoned with the vendor and, after the offer was upped to £610,000, a deal was struck and they bought the site in September 2013. Jane says the single most important person in a successful self-build is the architect. To find the right one, she scoured magazine and newspaper articles for leads, and attended self-build shows and conferences. While negotiations over the land were going on, the couple were already meeting potential architects who could design a modern house for them. “We talked to agents, and they told us that because it was such a unique site, we needed to build something bespoke to maximise our money,” Jane says. They chose Nick Willson, founder of Nick Willson Architects. Not only did they like his work and hit it off with him personally, they were deeply impressed by his willingness to meet on a weekend — “It showed he was going to be flexible” — and by the fact that as soon as they started talking about their ideas, he began sketching designs. Jane and Tim drew up a two-page brief detailing what they wanted from their new home — it had to be open-plan, contemporary (but “not a white box”) and full of light. It also had to make the most of the beautiful rural site, be flexible and be cheap to run. They included photographs of their favourite furniture, which they planned to bring with them. It had to physically fit into the new house, but it also gave Willson a good idea of their taste. Within two months, he had drawn up plans for a long, slender, two-storey timber-frame house with a brick facade presented to the road and a more open glass aspect overlooking the grounds. He designed a semi-open-plan ground floor with a light double-height kitchen/living room at the heart of the house. The 3,444 sq ft property also has a second sitting room on one side and a utility room/plant room/office on the other. Upstairs, the four bedrooms lead onto a series of cantilevered balconies. Tim and Jane initially expected the build to cost about £600,000. They now admit that they were being wildly optimistic: the work cost about £900,000 and the landscaping (including building a swimming pool) added £100,000. Taking into account the £610,000 they spent on the site, this brought their total spend to roughly £1.6m. They had to take out a mortgage to cover the full cost. The couple project-managed the build themselves, and hiring the right team of contractors was crucial to its success. They went to building shows to learn about green technologies (they opted for solar panels and an air-source heat pump) and asked suppliers and tradesmen for recommendations. Choosing materials — and not paying over the odds for them — is another piece of due diligence that shouldn’t be scrimped on. Tim and Jane called in endless samples of bricks until they found something they liked, and went to visit every company they could find to inspect examples of concrete floors before hiring a firm to put one in their kitchen. Willson was, of course, also able to advise them. Once they had settled on what they wanted, Jane entered into what she describes as a “war of attrition” with suppliers to get the best possible prices. She was able to buy all the glass for the windows and doors for £105,000 — the original quote had been £130,000. And she paid £104 per 8ft x 4ft sheet of the bamboo cladding used on the interior, rather than £150. By September 2014, the couple were ready for construction to start. They drew up a detailed timetable of what was supposed to happen when, and made sure the materials were going to be delivered at the right time. The first job was the groundworks, which took three months. The timber frame was built off site, but things were then held up by a delay with the steel “skeleton” that supports the building, so it was not until the spring of 2015 that the main structure of the house was up and watertight. Jane went to the site every day to troubleshoot problems and make sure all was going to plan. With endless mini dramas, she might have been forgiven for losing her cool, but she says patience is a virtue when wrangling builders. “If you feel you are getting angry, walk away — because if you do get angry and swear, then the problem becomes about your behaviour. Jane recommends keeping a close eye on builders so they’re not tempted to slip off to other jobs. She also wrote snagging lists so that nothing was forgotten, and spent hours checking the progress of the build. The kitchen has bamboo-clad cupboards, Corian work surfaces and appliances bought from the Miele factory shop in Abingdon, Oxfordshire. It was designed by Willson and built by a local joiner for £12,000 — a fraction of the price of a “designer” kitchen. When the plans were being drawn up, the architects told the pair that they wouldn’t need underfloor heating because the house was so well insulated. They found this hard to believe and installed it anyway — which they now admit was a waste of time. “We have never switched it on,” Jane says. By August 2015, the Meggitts were able to move out of their rented home and into their new house, though work continued around them until September. But they are still working on landscaping the garden and grounds, and there are inevitably niggly bits of snagging. “With any home, you have always got continual maintenance,” Tim points out. Jane and Tim say they are 99.9% thrilled with their house. They particularly love their double-height kitchen and the fact that the house is so light. (Willson aligned it to take advantage of natural daylight all year round.) But if they were doing it again, Jane would like more storage in the kitchen and more electric sockets. Meanwhile, Tim is planning an anti-deer fence to keep out unwelcome wildlife. 2016 – Land Sales improve as the demand for land continues. More developers are sourcing land with increasing demand in the North, however sales prices can still render sites unviable. The message is very much land at the right price is selling. The Help to Buy scheme is helping first time buyers return to the market and this in turn is stimulating activity. Planning is still difficult and takes time but sites in sustainable locations that are not ion green belt or flood zones are attracting attention. In addition the availability of funds to smaller developers is helping to shift sites that have been on the market for some time. Should you have land to sell why not give Development Land For Sale a call today to get an up to date appraisal of your land. In an effort to combat the nation’s ever increase housing shortage, the UK government has announced details of new permissions allowing the redevelopment of agricultural and retail properties. Planning Minister Nick Boles stated thsi would make “better use of redundant or under-used agricultural buildings” thus reducing the threat of development in the countryside on green belt areas. The new law which has now come into effect, allows up to 450 sq m (4,850 sq ft) of buildings per farm to be redeveloped, with a maximum of three houses. Alongside these plans, the government has also changed the laws so that agricultural buildings up to 500 sq on each farm can be converted into schools and nurseries. However, restrictions do stipulate that farmers would not be allowed to demolish cow sheds or outbuildings. Only to conversions or renovations would be permitted to preserve the history and authenticity of certain older structures. The government also confirmed that “under-used” shop premises may be changed into residential homes. This applies to retail spaces of 150 sq m or less. These permitted development changes will not apply however, in national parks, areas of conservation or of outstanding natural beauty. With the high streets and back roads of many towns and cities losing small, local businesses in their droves, many once thriving retail premises are starting to find new occupant leases very difficult and thus, these once residential properties that were converted to cater for the small businesses operating within them may once again return to their roots. With the size restrictions in place, it is clear that this new law is aimed at the smaller, non-commerically designed structures to return to their original purpose of purely residential use. 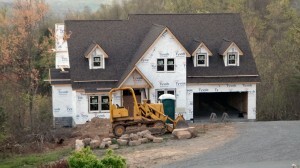 Activists have expressed real concern about a possible of a new wave of new barn conversions green belt areas in close proximity to cities, where housing shortages tends to be common. In response to this, Nick Boles stated the government was “re-affirming green belt protection” and noted that “unmet housing need was unlikely to outweigh harm to the green belt”. In his statement, he also stressed the importance of bringing brownfield land back into use as much as possible. 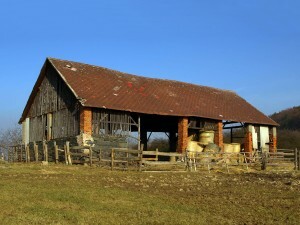 However, The Campaign to Protect Rural England said it was very “concerned that allowing barn conversions without planning permission could do real damage” to the countryside. Fears of a growing housing market bubble have gathered pace this month as demand for homes continues to outstrip supply all across the UK. Although house price rises were recorded at 0.1% less than February 2014, the overall 0.6% rise in market values during March still shows a continued upward trend. On average, home sellers are achieving 96.2% of the asking price, marking the highest rate seen in over a decade as buyers hunger to buy homes grows stronger. Staggeringly, London property is achieving an incredible 99.3% of the asking price and across every region of the UK, the figure is above 93%. All of this points to further price rises, according to a report recently published by Hometrack with the gap between supply and demand remaining extended, showing no signs of changing in the short term. Housing developers have stated that whilst more homes are being built, the industry is unlikely to meet government targets in the near future. Industry commentators also state that the sector’s failure to keep up with rising demand could drive prices up to unsustainable levels, triggering the daunting prospect of yet another price crash; leaving new homeowners in negative equity. Westminster is being urged from many quarters to take decisive action to ramp up supply with Government led housing schemes. At present, the main concern is still London with the capital showing the biggest signs of a property bubble not seen in a generation. Whilst some analysts within the estate agency industry remain calm, others are concerned that any major downward events in London could have a devastating domino effect on the rest of the UK. Homes and land owners still remain very skeptical and with the markets showing encouraging signs of growth and intense demand, many are still yet to be convinced to sell up and cash in. So it seems apparent that the scale of house price increases in the coming months will depend on whether existing home owners and buyers will bid up the prices of homes, which could then lead to all sorts of inflated values. However, the good news is, things could soon be about to change and the current mad rush could be down to new legislation about to come into force, which means lenders have to ensure that buyers can not only afford their mortgage repayments now, but also when interest rates eventually start to rise again. A hint of things to come no doubt. The second half of the year may see a price correction but at present levels of demand, that may still not occur considering cash buyers and investors account for up to two fifths of property sales. Recent official house price figures released by the Office for National Statistics showed property values rising at 6.8% annually – over five times as fast as the ONS wages measure, which is up by just 1.4%. In the year to January 2014, the average home went up £17,000 to £254,000, while wages rose by just a paltry £417. Separate figures from the Land Registry recently showed house prices across England and Wales rose by 5.3% in the year to February 2014 but prices in London soared by a whopping 13.8%. With growth figures presently continuing on these levels, many do have reason to be concerned. But one thing is for sure, with demand as it is, it is most certainly a sellers market once again. London’s housing market is rocketing – is this good or bad news? Are we headed for a recovery or a bubble in the capital? It’s a well known fact that London is streets ahead of the rest of the UK when it comes to property (and land) values. However, since the turn of the year and thanks to the recent massive injection of impetuous into the market via various “help to buy” schemes, London’s property market has gone nuts. Prices are on a steep climb and property is being snapped up like a bargain crazed gang of shoppers at a Black Friday sale in Walmart. You could say we’ve all lost our minds. So what is going on? Whether we like it or not, the UK has always had a great lust for property investment and the market in London’s more desirable boroughs is growing at a fast pace. Flat viewings in particular are swamped. It’s actually become the norm to see a single property have over 75 people viewings in a single showing. And they’re not just bored window shoppers; they’re serious buyers as properties are shifting fast! For many prospective investors, it’s now the standard to have to put in an offer the same day as a viewing to avoid disappointment. You simply cannot rest on your laurels otherwise you will miss out. Prices are well above their pre-crash levels with some of the most bog standard basement flats selling at a staggering 60-70% higher than values seen just eight years ago in 2006. And why is this happening? Because there’s a major shift on the negotiation stage. In years past when an asking price was seen as a ceiling price that the vendor was hoping to achieve, prices are now becoming an “offers over” base price point, meaning if you want to get the property, you had better be ready for a bidding war, over and above the asking figure. So what do these signs indicate? The market is without question on a recovering. What may be more alarming to some is the trajectory. It’s steep, it’s fast and in some places, pretty scary. One significant sign that we might be headed for a bubble is the fact that the gap between asking prices and agreed prices has practically disappeared. In years gone by, it’s a well-known fact that estate agents used the basis of high valuations to convince vendors to market their property with them, believing the gains will be greater. Buyers are well aware this goes on everywhere so the tendency was always to submit an initial low-ball offer to see what the reaction will be. 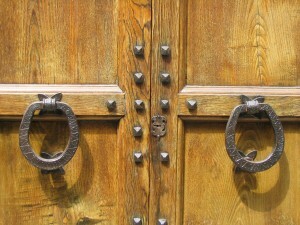 In most cases, the end sale figure would be somewhere as a halfway house between the asking and offer price. All pretty standard stuff. However, that seems to be changing. According to property website Hometrack.co.uk, the gap has reduced to 2%. Buyers have become so hungry to grab property that they want to guarantee the purchase and thus, are forgoing the negotiation stage and submitting close to and at times, above asking price offers. The signs are there that prices are rising so fast that estate agents simply can’t keep up. 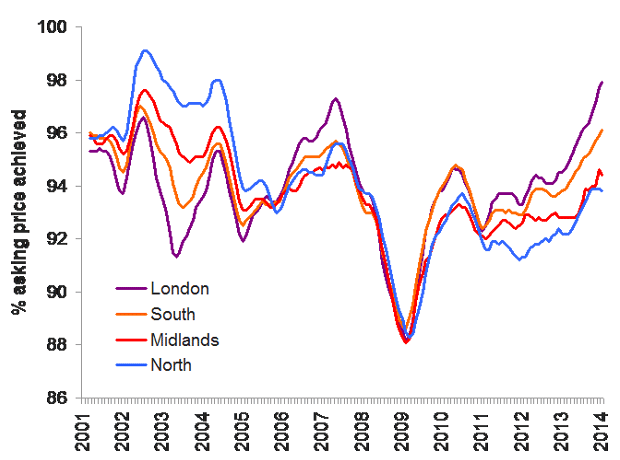 But looking close at their data which goes back as far as 2001 also suggest that, housing prices may be about to peak. The question is an interesting one. Buyers can’t get properties fast enough whilst sellers are getting at times, above asking price offers. So who wins and who loses? Clearly we are at a crossroads and it is incredible to think that we are at this stage still in the first quarter of 2014, considering the stagnation we had experienced for so long since the post-crash period which dragged on for an age. The sheer pace and acceleration of this recovering is the big worry and to a seasoned investor, appears to be a short run that will run out of steam very soon. 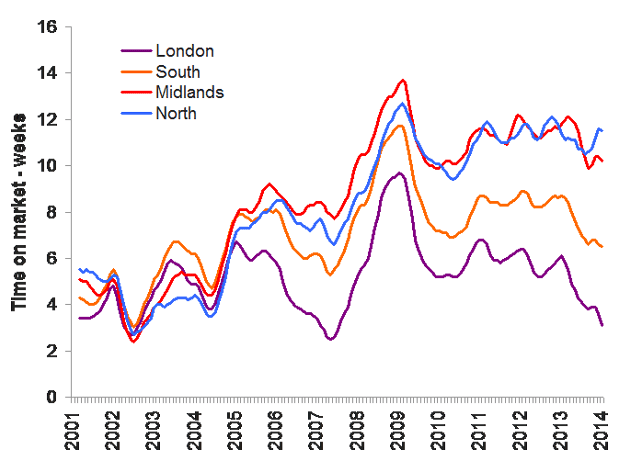 Very few would disagree that UK property prices, and in particular London prices, are way above where they should be. All the stimulus packages introduced this past year have only gone on to exacerbate that problem and the fact is, it doesn’t look like it is going to go away. So smart investors need to see when opportunities arise and take advantage quickly. This appears to be the case now in London and no doubt, this wave of enthusiasm in property will spread outwards en masse once the property market has matured and the commuter belt areas get their turn of this huge property run. 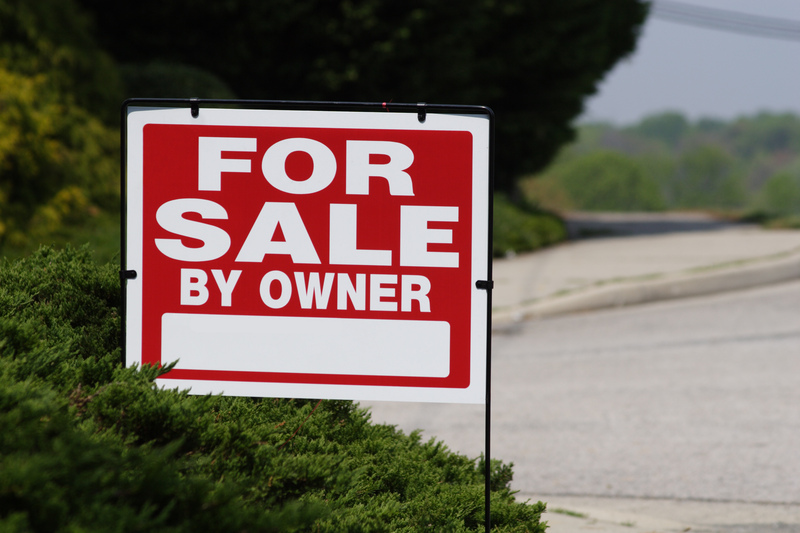 As a land or property owner, you need to also see the signs when the time is right to sell. The markets are simply different to what they used to be and opportunities have narrowed and time frames are squeezed. It wouldn’t be a surprise to see a slow down or more accurately, a plateau of the property market towards the end of 2014. When spring and summer kick fully into gear this year, buyers will be cranking up their desire to buy. So this is surely the best time to sell as higher yields will be obtained and if you’re smart, you will sell at the peak of the market. With a recovery and possible bubble forming at such a rate, you cannot sit back and wait for an opportunity to arise as it may come and go with the blink of an eye. It’s a scary time in the market because anyone holding land or property wants to get the best return they can but with markets rising at such a rate, one never knows where or when that peak will hit. All we can say is; evaluate your situation, know your original purchase value when you had the land and see what your return will be in 2014. If the gains are good, perhaps your time has finally come to sell and get that long overdue pay back. 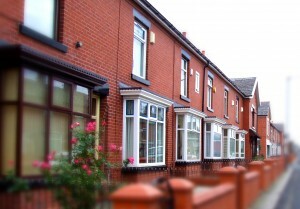 According to leading industry bodies, a new government land-release scheme could significantly help increase the development of affordable housing across the UK. Dubbed the government’s “right to contest” scheme, it allows the public to question the use of central government-owned land by submitting an application claiming that a site is potentially surplus to needs or is simply redundant, or more importantly, could be put to better use, with housing being the main argument. What most people do not realise is that our government owns more than £330 billion of land and property across the UK. Independent studies suggest that the public purse holds up to 40 per cent of development-ready land and around 27 per cent of brownfield land suitable for new home builds. Along with the scheme, the government plans to launch a website allowing users to search and find suitable acquisitions, such as government-owned property and land. This latest move just underscores the steep climb in demand which our country is under to find or build new homes. With suitable brownfield sites hard to come by, the Government is looking for ways to recycle and rejuvenate unused or outdated properties before taking to unpopular and devastating decision to open up green belt land for building. A decision which will be wholeheartedly unpopular throughout the country. 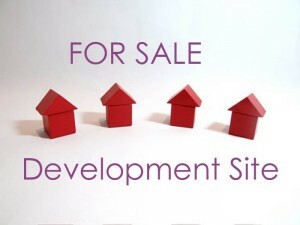 Here at Development Land for Sale, we have seen a significant increase in traffic to our website and more so, enquiries for developers and investors looking for suitable land for development. 2014 is certainly shaping up to be a growth year in this once flat sector; a change that has been a long time coming. With hundreds of plots on offer in our database, we certainly agree that all brownfield options should be considered and explored before we start to cut up our countryside to make way for new homes. With a growing population year on year, politicians are coming under increasing pressure to deal with the increased demand for homes. How they come up with a suitable or popular solution is yet to be determined. Will 2014 be a happy new year for property developers? The latest figures from the National House Building Council state that over 34,000 new homes were registered during the last quarter of 2013; an increase of 30% compared to the 26,000 plus registrations seen in the same period the previous year. Just this past November 2013, 11,409 homes were registered broken down into 8,000 + in the private sector and 3,000 + in the public sector, returning an increase of 20% on last November’s overall total of 9,533. 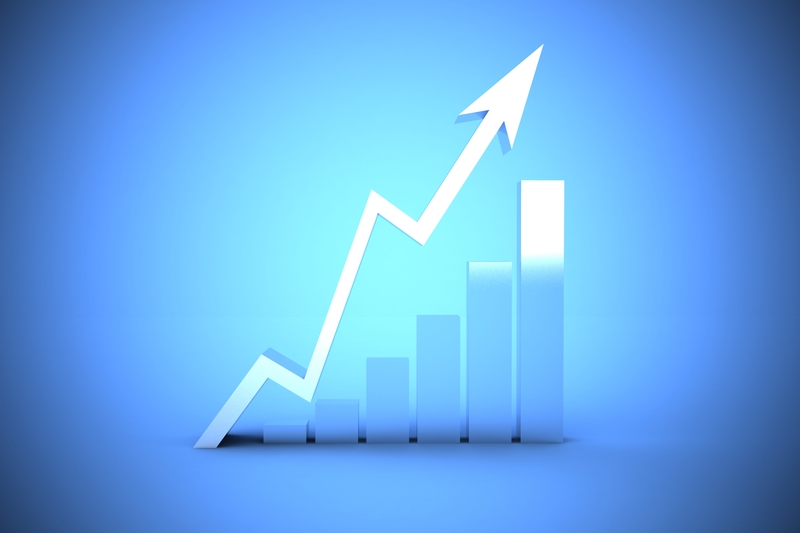 Average UK house prices increased by 4.4% over the course of 2013 and market growth is set to continue into 2014 with the strongest gains unsurprisingly set to be seen in the south east, according to latest analysis. With demand from aspiring home buyers increasing and a continued lack of supply of houses on the market, this growth is set to continue well into the year as a whole. Property website Home.co.uk predicts that London and the Home Counties will continue to outpace the rest of the UK’s housing growth this year. Using key data and trends from their ‘Home Asking Price Index’, analysts compiled a set of regional price forecasts, predicting the potential winners and losers in the twelve months. They predict that marketing times will drop further as demand increases around the country and supply will continue to decrease, especially in London and the South East. The North West, Yorkshire, Wales, Scotland and the North East’s price rises will still remain below the national rate of inflation with the ever-popular buy to let sector experiencing continued grow despite falling returns. However, with the support of George Osborne’s Help to Buy scheme for home purchases below £600,000, house price growth has picked up pace to the point where some commentators have expressed genuine concerns of yet another property bubble being created. 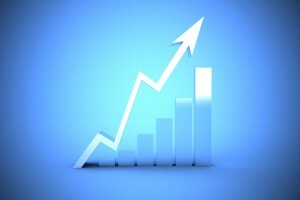 Will the current growth last or will it eventually fall flat? On the surface of things, it is not at all surprising that house sales are up on 2012 to mid-2013 levels as stamp duty exemption for first time buyers ended which encouraged new entrants onto the housing ladder. Other Government schemes such as Home Buy, Right to Buy and Funding for Lending are starting to have a big impact on the economy which is helping to gradually increase demand and of course, house prices. With interest rates remaining at historically near zero levels, affordability will remain sound for existing mortgage holders and first-time buyers who can get finance however, some have concerns that when the inevitable rate rises do come along, trouble could be ahead. What can’t be predicted is when the Bank of England governor Mark Carney finally decides to raise interest rates to help economic stimulus but what can be predicted is it has to happen eventually. With a 2015 generals election just over a year away, it is safe to predict a continuation of low interest rates for the foreseeable future to avoid rocking the boat. The economy and politics go hand-in-hand so a solid prediction could be that 2014 is the year to take advantage of renewed confidence and get back into the markets whilst the going is good. 2015 will most likely be another positive year however, if rates do have any hint of being hiked, certain higher risk loan holders could suffer. Will that effect land or house prices? That all depends on the scale of the damage. Market confidence is all about supply and demand! House-building is starting to recover after the huge drop off in development post 2007. Although there’s plenty of positive signs of growth, the on-going lack of finance for large-scale development and inactivity caused by planning red tape continues to act as a drag on the building of new UK homes. Whilst the level has begun to rise somewhat, it will still take quite some time for output to increase significantly and experts anticipate the level of completed housing developments will remain subdued over the next two years. In short, there are good opportunities for land development this year but making the right choices based on location, desirability and price are key factors moving forward. We feel that 2014 is a year of opportunities but ones that must be chosen wisely. Confidence is starting to improve but we are still years away from the heady days of the late 90’s and early 2000’s. Land prices are going up – now’s the time to sell! Confidence is returning so should you hold out or sell up? The value of residential UK development land rose in the third quarter of 2013 according to the latest Residential Development Land Index. Continuing the trend seen in the previous quarter, the average price of a greenfield development land site rose by 2.7%; more than doubling the rate of upward growth of Q2 which saw rises of around 1.2%. To date, that returns an annual growth rate of around 4.3%; hugely increasing from a more modest annual growth rate figure seen in the last quarter of 1.8%. Government stimulus or genuine confidence? Due to the new Help To Buy Equity Loan scheme, around 15,000 new home reservations have been approved, with the bulk of the concentration of these being in the South East, outside of the central and Greater London areas. With growing commuter populations moving out to the more affordable areas adjacent to London, this comes as no surprise. The increase also coincides with a key aspect of the National Planning Policy Framework (NPPF) in which many local authorities are busy establishing sites that are suitable in delivering sufficient levels of new housing development over the course of the next five to ten years. So taking into account both Government intervention and renewed confidence, one could argue that the two have gone hand-in-hand in returning market confidence but one fact is clear that these new stimulus schemes have been the catalyst for this dramatic change in fortunes. It’s also no surprise to learn that this has resulted in a very active housebuilding and land selling market; with a hugely impressive 30% jump in planning applications for private dwellings over the course of the summer of 2013. So should you sell your land now or hold out for more? London is still the hotbed of property and land values, climbing 4.5 % in the third quarter, following an equally impressive increase of 4% the previous. London is certainly bucking the trends set around the rest of the UK. 2012 was a much slower year however, with increased stimulus coming from Westminster and renewed confidence in the real state sector, 2013 looks set to be the year the wheels started to turn once again, with developers and investors feeling far more confident about the year to come. Land values will show an increase all over the UK early in 2014 no doubt but arguably, this upward trend will see a slow down eventually as development applications pull back and the slightly hyped stimulus scheme euphoria dies down. If there’s a time to start selling, now is it, as the peak of the stimulus will show a plateau sometime next year no doubt. Greedy land owners may argue that this climb has some way to go however, on past experience these upward curves always reach a sudden peak far quicker than most anticipated. If you want to know what your development land is currently valued at, speak to our team and we’ll be happy to give you our professional opinion and discuss whether now is a good time for you to sell your development land. Avoiding the common and costly pitfalls! It’s everyone’s dream to build their own home on a beautiful plot with a great aspect, in idyllic surroundings yet close enough to common amenities and commercial centres, to avoid being too isolated. A house that has everything you’ve ever needed; can grow with your family and your ever changing demands. Who wouldn’t want that? But locating the perfect site that will grant you all of these wishes, not to mention planning consent is never easy. In fact, it can be a very bumpy ride if one is not prepared! When seeking out development plots these days, it is easier said than done to land the best plot (excuse the pun!). The best land has a tendency to be snapped up and whipped away by greedy developers at the blink of an eye and in many cases, they get the inside track before the everyday single home builder would even have an inkling that a plot was even on the market. It’s a tough and cruel business. According the recent statistics, around 70% of land that comes onto the market is brownfield – land that was either owned or occupied by a previous permanent structure that has become vacant, unused or derelict and is not considered a reserve or detrimental to the environment if redeveloped. The remaining 30% is greenbelt – untouched, undeveloped land that could be owned by a wide range of individuals or bodies that may prove a worthwhile investment if the circumstances are right. So where do I find development land? Yes, believe it or not but estate agents still do have a good number of quality plots on the market. Although they are largely in the business of marketing residential or commercial dwellings; on the odd occasion some agents do come across the odd plot of land that is worth a look. Even if the agent doesn’t have any land for sale at the time, it’s always worth leaving your details with them, explaining that you are in the market for a development plot and to consider you if they are offered any in future. You’d be surprised how much an approach like this can open doors. Many estate agents are very well connected with property developers, building trades and investors so your intent to buy may just get heard by the right people just when you least expect it. So never write off this option when you start your search. Land agents should naturally be your first point of contact. As they deal solely in land plots, with or without planning consent, they will be the best to advise and guide you on the processes. However, land agents are few and far between and aren’t as commonplace on the high street as their estate agent counterparts. So if you do find one, make sure you register with them and tell them about your plans. 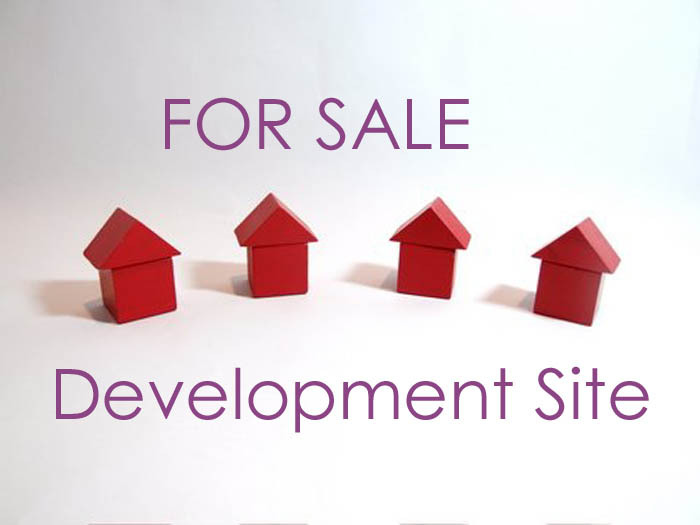 We at Development Land for Sale would also be happy to work with you so please ensure you speak to us if you need an agent. Once you’ve checked all of the normal boxes, then it’s time to get online! There’s a whole minefield of sites out there offering land and plot search engines. Some require a registration process and in some instances, a fee to join to review plots on offer. When choosing which websites you want to use as your basis to search, remember to check their terms and conditions. Some websites have some very draconian terms that require unfair and at times, inflated fees when buying land through their system. Most reputable sites should show contact details so that you can speak to an agent via phone or email and ask questions first. If you are asked to register and pay money before even being allowed any form of access to a website then think carefully about whether this is the site for you! The best sites should include all the necessary basic details of the plots for sale and with just a simple registration form, then allow access to further details. Sites do this mostly to prevent time wasters as land plots are fought over hard and at times it can get ugly! Private sellers like using land for sale sites as they often don’t have to pay to advertise. It is not uncommon for land buyers to pay fees to access land details, usually payable on purchase of the plot. If done right, auctions can be a great place to grab a good plot of land. Usually advertised in local publications, auctioned land is often due to bankruptcy or repossession. However, like any auction, it is easy to get lost in the moment and end up overbidding for something that is far less in value. Land auctions also carry a lot of risk as many are sold as seen which can lead to disaster. If you’re in any doubt, take someone along with you who has experience of land and property auctions otherwise, it might be best to avoid these scenarios to prevent making a huge financial mistake! Whichever route you decide to take, it is always best to have a set list of criteria that the land must meet. Land purchases can have just as many if not more complications that a property purchase due to covenants and planning consent. Anyone in the market to buy land should always research local and national laws on any plans you have before taking the plunge as a purchase can lead to disaster. If you need advice on the processes of buying land and how best to find a perfect land plot, why not speak to our team? With our experience and specialist knowledge, we are sure we can help you on the right path to a successful and stress free purchase! Unwanted Land – What Can I Do With It? will then have to convince the planners that their scheme will be acceptable. How do I gain planning consent on my land? some of these offer a free service to land owners. then draw up and submit drawings for approval. the land to anyone else during the period of the contract. Once planning consent has been granted how long does it last?